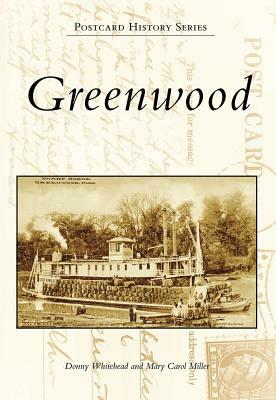 Greenwood (Postcard History) (Paperback) | Turnrow Book Co.
Greenwood grew from a ramshackle cotton-shipping outpost on the edge of the untamed Delta into the "Cotton Capital of the World." The saloons and shops along Front Street gave way to a vibrant downtown and fine residential districts. As cotton's post-Civil War resurgence gained steam, the burgeoning economy of Greenwood was reflected in such architectural masterpieces as the Leflore County Courthouse, the First Methodist Church, the old Greenwood High School, Fountain's Store, and the Keesler Bridge. Postcard photographers set up their cameras to capture the buildings and activities of this fascinating Yazoo River town for posterity. Many long-vanished structures and old favorites that have been revitalized come to life in Postcard History Series: Greenwood.